Which White Sofa and Loveseat is this? Reclining sofa and loveseats are all the rage at American Freight right now! Lovingly referred to as motion furniture, click here to read all about the different types of reclining living room furniture. This particular white sofa and loveseat we are featuring today for our Tuesday Teaser is comfortable and contemporary. 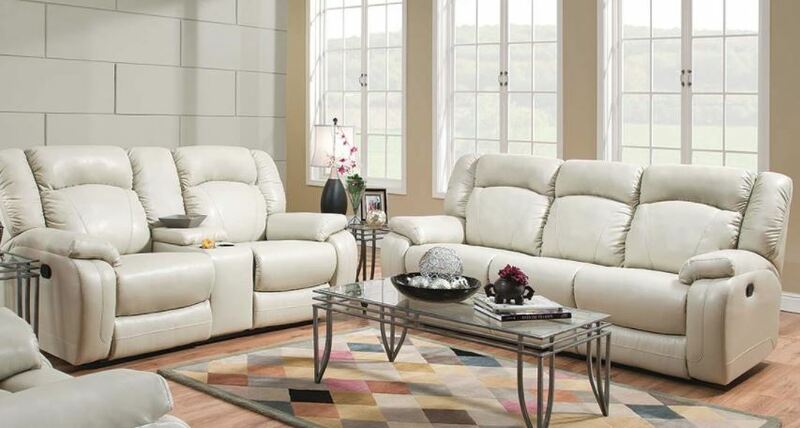 Can you guess which white sofa and loveseat this is? Comment below if you think you can guess, or click here to go to the product page. When deciding how to decorate your living room, consider this before going all white: do you have kids or pets? Does a mess bother you? Would it upset you if your kids or pets messed up your beautiful white furniture? If you answered yes to those questions, you may not be able to give the green light to clean white. Are you single or a part of an adult couple? Do you have pets, but they are not allowed up on the furniture? Do you have children, but they’re older? Are you laid back about spills and stains? If you answered yes to any of these, you may be a perfect candidate to give the green light to clean white. These are not exhaustive possibilities, but the basic reasoning we suggest when deciding to go with white furniture. Some people call all white decorating “timeless,” while others may call it “boring.” It’s really up to you. Minimalism is in style currently, so all white or all black decor have been hot topics in the world of home design. All white, or its many variations, is classic, elegant, clean, and crisp. It takes upkeep to keep it clean and crisp, however. You know your lifestyle and the way you keep your home, so only you can can decide if all-white decorating is a home trend that works for you. We love that a white color pallete offers flexibility down the road. 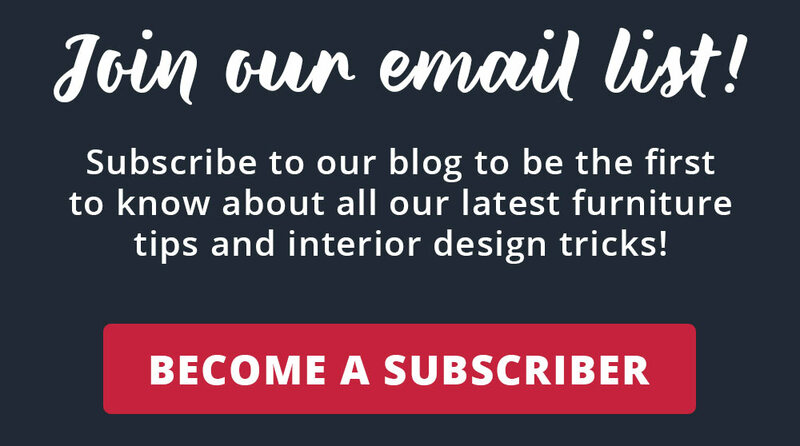 If you decide to redecorate later, it’s simple! Painting the walls and hanging some colorful photos will spruce the room right up, and look completely different. This featured white sofa and loveseat doesn’t even have to change, either! You can just toss a colorful throw or some new pillows on it to give it a fresh, new look. Looking to decorate your bedroom in white? Click here or click here for two all white bedroom sets we adore. Click here to find your local American Freight store.